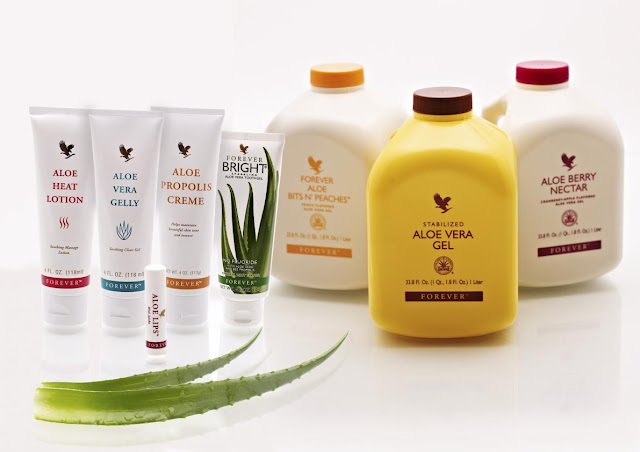 Forever Living is a company that focuses on skin care for dry skin with Aloe Vera being their main point of sale. Aloe Vera is known as a magical plant or a healing plant that can do wonders internally for a body with or without injuries burns and scars. Forever Living has a wide range of products from skin care to make up and also weight loss programmes. I first got introduced to the brand at a primary school summer fair where I saw a stall with skin care products displayed on the table. There was a chance to try some of these products to be tried out by everyday average people of all skin types, ethnicity's and occupations. Luckily for me, I was chosen to try these products. The lady behind the stall at the fair was the same lady who deliver the products to my house to try out. We sat down and talked about the products and my past experience with Aloe Vera. I had no past experience with Aloe Vera. This was my first time using any Aloe Vera based products. 1. The 1st product we spoke about was the Hand and Facial Soap Wash. “This product is not actually a soap” she said. She explained how there were no detergents in it. It was practically all natural. It was creamy and silky to the touch. She also told me that it was suitable to use all over my body. I could use it as a body wash. As a first impression, I felt like she was over selling it, but it still sounded impressive. You should be able to see improvements in all kinds of dry skin conditions. 2. Next there was the Shampoo and Conditioner. It was designed to repair hair. The conditioner was a ‘leave-in’ conditioner. this really impressed me. The benefits of these products are to tackle a dry scalp and damaged hair. 3. The Aloe lotion was to be used like any other lotion but have a grand effect. Better than other lotions for other dry skin. It was a white thin lotion that will go on easy. The can be used anywhere on the face and body. It has SPF15 which means no skin damage. Benefits include improvement in Eczema, Sirius's and dry skin. 4. The Aloe Propolois Cream is designed to improve the texture and tone of skin. It is made from Aloe Vera and Bee Propolis. Its to be used on the face. It can be worn as a night cream or under make-up as a lotion (to be worn under your moisturizer). 5. The Aloe Gelly was a shock to be. It was the jelly that you find in the plant (along with some stabilisers to keep it working). That is all. They put it all in a 150ml tube. This can be applied anywhere and anywhere. It can even be swallowed (only a little bit at a time when necessary). That is how pure it is. 6. The free samples include a lip balm (also known as a ‘First Aid Kit in a Stick’) Tooth gel and fragrances. The lip balm its good for bites, bruises, itchy skin, cuts and most obviously soft, unchapped lips. The tooth gel is fluoride-free. It is made from Aloe Vera and Bee Propolis. It is actually written that it is a Sparkling Tooth Gel which means it can also be whitening. There were two scents on a card, one for men and one for women. I was surprised to see that Aloe Vera could also create scent that can be sold. So I was officially left alone with the products. With all the power to do what I wanted with them. I have this box for 9 days. After a while, I started to feel that i probably wouldn’t need any of these products. I don’t have dry skin or a dry scalp. However I do have damaged hair. I first tried out the hand and face soap. My first impression of the was positive. It was a good make up remover for my face and it also left my hands feeling softer than I have ever felt them. As a body wash, I did not feel any different, internally nor externally. There were no visible changes to my skin. So I was not impressed. In the shower, I reached over for the shampoo, poured a reasonable amount into my hand and applied it in my hair. As I was massaging my scalp, I started to feel knots in my hair. That is when I realised that this shampoo has no de-tangling elements. I thought maybe it would be in the conditioner. I washed out my shampoo and did not like what I felt. Especially since I have really long hair. I applied the conditioner and left it in for 2 minutes. My hair still felt that my hair was tangled. I really did not like it. I used the shampoo and conditioner I usually use and stepped out of the shower. I was really not impressed and did not want to use them. When I was drying my hair. I did not feel nor see any improvement in my hair. Now it was lotion time. I applied the Aloe lotion and the Aloe Gelly everywhere. And I did this everyday for the 9 days I had it. Again, I saw no difference. The lip balm works amazingly... on my lips. It feels great. My lips have never felt so soft. I haven’t seen a change in my teeth from the tooth gel and the scent smelt like old perfume from the 1950s. My favourite product was the Propolis cream which I used as a night cream. It was the only one that worked. It done wonders for the texture of my skin and it did even out my skin tone after one night. Yes, in one night my face looked great. My blemishes did not disappear but my skin looked as smooth as the actresses in the movies. The Propolis cream is the only product that I would recommend to not only women but men too. In the middle of the week, I woke up with a sore throat. I was told by the lady that I could swallow the Aloe Gelly if I had a sore throat and I did. It did not kill my sore throat. Not even for a second and I had that sore throat for 4 days. This whole experience was not a great 1. The only wonderful thing about it was that I had the Bee Propolis cream introduced into my life. This is the one I recommend. I do recommend you try the lotions and the soap if you have dry skin or any skin problems. Its because I didn’t have these that I could not see any results. So you can try it. Do not let me stop you. Wonderful blog. I always prefer to use organic aloevera body wash which gives a natural glow with freshness. Thanks for the information . Please suggest me the best and best aloe vera body wash that can be used by any skin type.